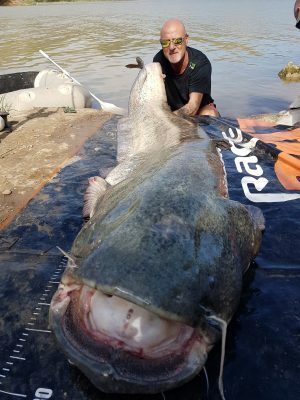 DARRELL CARTER showed you can, with care, land huge fish on frail tackle… when he managed to tame this huge catfish on ultra light perch tackle. 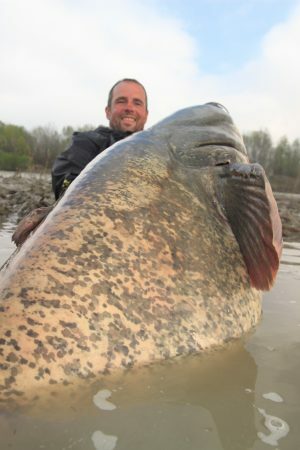 Darrell Carter displays the front end of his giant catfish landed on ultra light tackle. 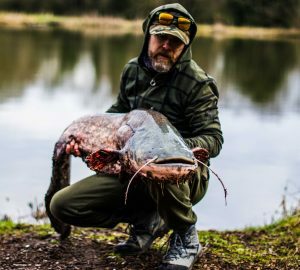 BIG fish ace Martin Hodgkinson has just notched his 150th specimen over 100 lb – and he’s desperate for more, if his health lets him. 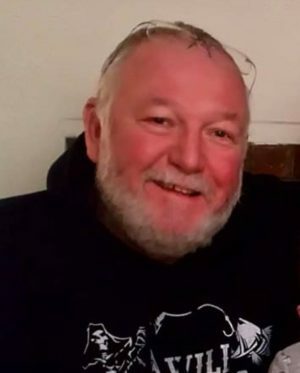 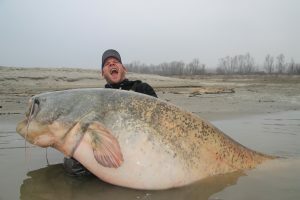 Martin Hodgkinson has been diagnosed with prostrate cancer but is determined to add to his tally of 100 lb fish. 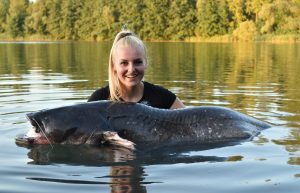 CHELSIE ALDRIDGE had a top trip to France – including one of the biggest ever caught by a UK woman. 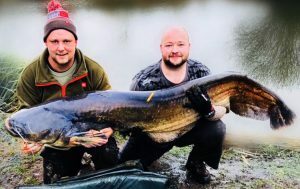 HUGE catfish hunters don’t come more successful than the guys from Team Black Cat Guiding Tours who have been re-writing the record books. 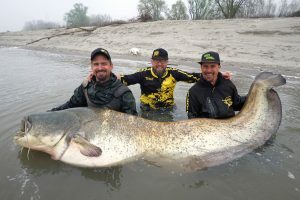 PHILIPP REHBERGER had a dream come true when he landed this huge catfish – one of the biggest ever caught.